Do you know your ENUM? Isn’t it funny how a new concept is often universally derided as nonsensical? There are many examples of this but none more so than Voice over IP (VoIP) (I mean Internet Protocol not Intellectual Property). Earlier this year I wrote about the challenges of what I called islands of isolation in a posting entitled Islands of communication or isolation?. I consider this to be one of the main challenges any new communications technology or service needs to face up to if it is going to achieve world-wide penetration. Sometimes just an accepted standard can tip a new technology into global acclaim. A good example of this is Wi-Fi or ADSL. Because of the nature of these technologies, equipment based on these standards can be used even by a single individual so a market can be grown from even a small installed base when it is reinforced by a multiplicity of vendors jumping on the bandwagon when they think the market is big enough. However, many communication technologies or services require something more before they can become truly ubiquitous and VoIP is just one of those services. Of course many of these additional needs can be successfully bypassed by ‘putting up the proverbial finger’ to the existing approach by developing completely stand-alone services based on proprietary technologies as so successfully demonstrated by Skype in the VoIP world. The reason Skype become so successful at such an early stage was that the service was run independently of the existing circuit-switched Public Switched Telephone Network (PSTN). This was quite a deliberate and wholly successful strategy. What was the issue that Skype was trying to circumvent (putting their views of their perceived monopolistic characteristics of the telco industry to one side)? Telephone numbers. Numbering was the one important feature that made the traditional telephone industry so successful. Unfortunately, it is also the lack of this one feature that has held back the rollout of VoIP services more than any other. 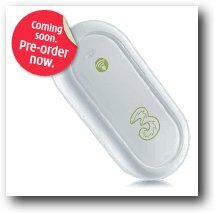 The issue is that every user of a traditional telephone had their own unique telephone number (backed up by agreed standards drafted by the ITU). As long as you knew an individual’s number you could call them where ever they were located. In the case of VoIP, you may not be able to find out their address if they use a different VoIP operator to yourself leading to multiple islands of VoIP users who are unable to directly communicate with each other. If the user chooses to use a VoIP-based telephone service they still expect to be able talk to anyone no matter what service provider they have chosen to use, whether that be another user of the VoIP service or a colleague not using VoIP but an ordinary telephone. One of the key issues cluttering the path to achieving this is that VoIP runs on an IP network that uses a completely different way of identifying users than traditional PSTN or mobile networks. IP networks use an IP addresses as dictated by the IPv4 standard ( IPv6 to the rescue – eh? ) while public telephone networks use the E.164 standard as maintained by the ITU in Geneva. So if a VoIP user wants to make a call to an individual’s desk or mobile phone or vice versa a cross-network directory look up is needed before a physical connection can be made. This is where the concept of Telephone Number Mapping (ENUM) comes into its own as one of the key elements required to achieve the vision of converged VoIP and PSTN services. The key goal of ENUM is to enable calls to be made between the two worlds of VoIP and PSTN as easy as between PSTN users. This must be achieved if VoIP services are are to become truly ubiquitous. In reality no individual really cares whether a call is being completed on a VoIP network or not as long as the quality is adequate. They certainly do care about cost of a call and this turned out to be one of the main drivers causing the rise of VoIP services as they are used to bypass the tradition financial settlement regimes that exist in the PSTN world (Revector, detecting the dark side of VoIP). How is an individual is identified on the IP network or Internet (an IP network can be a closed IP network used by a carrier where a guaranteed quality of service is implemented unlike the Internet). How the individual is identified on the PSTN network segment from an addressing or telephone number basis. How these two segments inter-work. The IP network segment: We are all familiar with the concept of a URL or Uniform Resource Locator that is used to identify a web site. For example, the URL of this blog is http://technologyinside.com . In fact a URL is a subset of a Uniform Resource Identifier (URI) along with a Uniform Resource Name (URN). A URL refers to the domain e.g. a company name, while the URI operates at a finer granularity and can identify an individual within that company such as with an email address. For VoIP calls, as an individual is the recipient of a call rather than the company, URIs are used as the address. The same concept is used with SIP services as explained in sip, Sip, SIP – Gulp! The IETF standard that talks about E.164 and DNS mapping is RFC 2916. 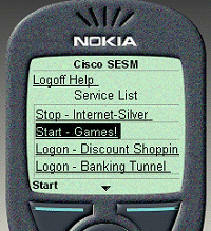 URIs can be used to specify the destination device of a real-time session e.g. On the PSTN segment: A user is identified by their E.164 telephone number used by both fixed and mobile / cell phones. I guess there is no need to explain the format of these as they are an example of an ITU standard that is truly global! There are two types of VoIP call. Those that are carried end-to-end on an IP network or other calls that start on a VoIP network but end on a PSTN network or vice versa. For the second type, call. mapping is required. Mapping between the two worlds is in essence managed by an on-line directory that can be accessed by either party – the VoIP operator wishing to complete a call on a traditional telephone or a PSTN operator wishing complete a call on a VoIP network. These directories are maintained ENUM registrars. Individual user records therefore contain both the E.164 number AND the VoIP identifier for an individual. The Registrar’s function to manage both the database and the security issues surrounding the maintenance of a public database i.e. only the individual or company (in the case of private dial plans) that are concerned with the record are able to change its contents. The translation procedure: When a call between a VoIP user and a PSTN user is initiated, four steps are involved. Of course, the user must be ENUM-enabled by having an ENUM record with an ENUM registrar. A request is sent to the Domain Number Service (DNS) to look up the ENUM domain requested. A query in a format specified by RFC 3403 is sent to the ENUM registrar’s domain which either returns the PSTN number or the URI number of the caller – whichever is requested. The call is now initiated and completed. 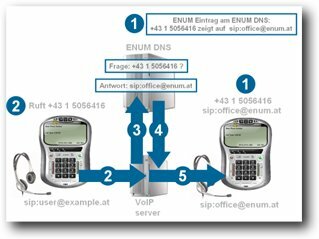 For this process to work universally then every user that uses both VoIP and PSTN services need to have an ENUM record. That is a problem today as it is just not the case. In a number of countries top-level public ENUM registrars have been set up driven by the ITU. For example this is the ENUM registrar in Austria – http://www.enum.at They then hold the DNS pointers to other ENUM registrars in Austria. Another example is Ireland’s ENUM registry. However, in the USA, ENUM services are in the hands of private registrars. If you sign up for a VoIP service that provides you with an E.164 telephone number, your VoIP provider will act as a registrar and hence your details will be automatically registered for look-up through a DNS call. If you do not use one of these services, it is possible to register yourself with an independent registrar. An ITU committee is being planned by the ITU to look at service-provider hosted ENUM databases but the view is that it will be slow to be implemented as is usually the case with ITU standards. If every PSTN network had an ENUM-compliant gateway and database, then truly converged voice services could be created and user’s preferences concerning on which device they would like to take calls could be accommodated. Today, as far as I am aware, even the neutral 3rd party ENUM registrars do not currently share their records with other parties, further exacerbating the numbering islands issue. This means you need to know which Registrar to go to before a call can be set up. It is early days yet but we will undoubtedly start to see more and more carriers implementing ENUM capabilities rather than some of the proprietary number translation solutions that started with the concept of Intelligent Networks in the 1980s. In the mean time the industry will carry on in a sub-optimal way hoping beyond hope that something will happen to sort it all out soon. The real issue is that ENUM registries are the keystone capability needed to make VoIP services globally ubiquitous but they can hardly be considered a major opportunity to make money on a standalone basis. Rather they are an embedded capability in VoIP or PSTN service providers or neutral Internet exchanges so there is little incentive to pour vast amounts of money into the capability which will lead to continuing snail-like growth. As is the case with standards, even though most would agree that using E.164 numbering is the way forward, there is another proposal called SRV or service record that proposes to use email addresses as the denomination rather than telephone numbers. The logic of this is that it would be driven by by IT directors riding on the back of disappearing PBXs and who are swapping over to Asterisk open-software systems. That is a story for another time however. Addendum #1: sip, Sip, SIP – Gulp! An excellent article from Sandhill.com on running a software business along disruptive lines. Written by the CEO of MySQL, it looks like it needs a lot of traditional common sense!